The WPA jury has made its selection of photos from the May competition. Vote now for the winner, who will win a stay in a five-star hotel in Geneva. The Watch Photo Awards were launched on 1st May 2018. 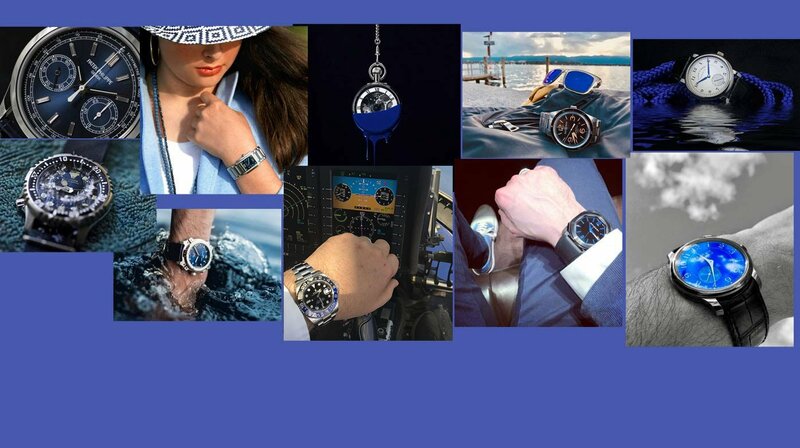 It’s the first annual international watch photography competition open to amateur watch lovers and photographers, as well as professionals. This year will feature six monthly competitions: one for every month from May to October, each on a different theme. The first round, which took place in May, has just ended. The theme was “Blue”. The photo that receives the most likes will win its photographer a two-night stay for two people, breakfast included, at the Grand Hotel Kempinski in Geneva. Situated on the shores of Lake Geneva and just minutes from the old town and the shopping district, the Grand Hotel Kempinski***** has 412 rooms and majestic views across the lake to the famous water fountain and beyond it the Mont Blanc. Jury member and photographer Edouard Haegi concedes that, for him, first impressions played an important role in his decision. But his choice was also about finding a balance between creativity and technical quality. “The originality of the photo and its composition are crucial. You have to be able to sense the idea behind the photo. As a professional photographer, I can tell immediately if someone has taken time over the photo. But the competition is open to all, amateurs and professionals alike, and amateurs shouldn’t be penalised because of the quality of the photographic equipment they use. That’s why I focus on creativity.” And you don’t have to be a distinguished photographer to turn this to your advantage. There are some simple techniques that anyone can use, such as good preparation, and taking a picture from a variety of angles to ensure the best possible image. “I’m often disappointed to realise that it wouldn’t take much to increase the quality of a photo. Sometimes it’s just a matter of taking a bit more care with the background,” notes Edouard Haegi. The Watch Photo Awards continue in June, on the theme of sport. So get your cameras, watches, trainers, bats and balls ready.